3. 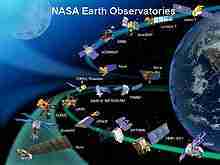 NASA is a body managed by the United NationsUnited States of AmericaUnescoI don't know . 4. To launch a rocket, a site is selected on the southern hemisphereequatornorthern hemisphereI don't know . 5. The countdown before launching a rocket is from 0 to 100 to 6010 to 0I don't know . 6. Other than the moonlanding, NASA also plans to send a man to MarsVenusMercuryI don't know . 9. In 1961, American President John F. Kennedy announced the goal of sending astronauts to the moon before the end of the yearcenturydecadeI don't know .